Cuneo is a unique wedge-shaped town in northwestern Italy that has different architecture than in other parts of Italy. Its Renaissance style arcaded main street lined with shops and cafes gives it an elegant appearance and its old town center dates from the 12th-century when it was a fortified town. Cuneo makes a good base for excursions into the mountains, valleys, and nearby small towns of southern Piedmont. 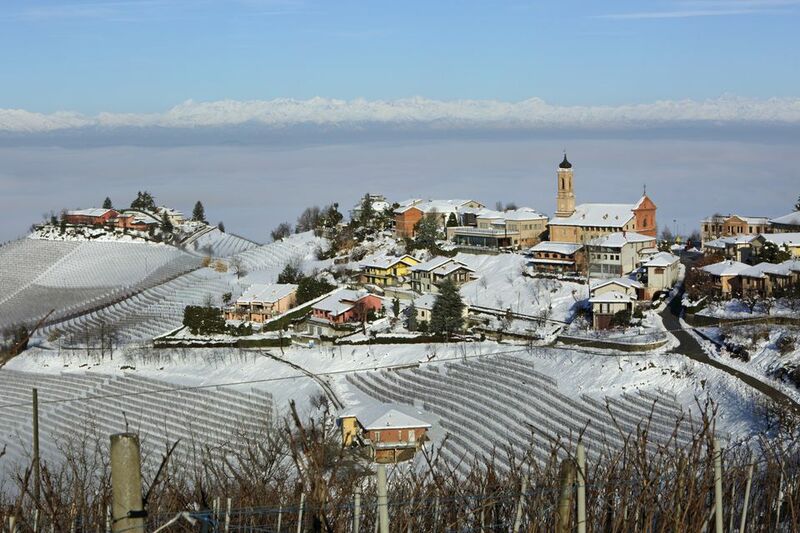 Cuneo is in northwestern Italy's Piedmont region at the confluence of the rivers Gesso and Stura di Demonte. It lies at the foot of the Maritime Alps and is near the French border. The city of Turin is less than 50 miles to the north. Cuneo is on the rail line between Turin and Ventimiglia on the coast. There's good bus transportation to Piedmont towns and villages as well as around the town itself. Bicycle and car rentals available. Cuneo has a very small airport, with flights to Elba Island and Olbia on Sardinia and a few European destinations. There are airports at Turin and Nice, France, serving more cities. The nearest large international airport is in Milan, about 150 miles away. There's a big summer music festival starting in June with many musical performances. The town's patron saint, St. Michael Archangel, is celebrated on September 29. There's a Chestnut Fair in the fall and the Regional Cheese Fair is in early November. Bossea Caves, in the Maritime Alps, are some of Italy's best caves. The guided cave tours take visitors through chambers along underground rivers and lakes. The Maritime Alps Nature Park, the largest regional protected area in Piedmont, has beautiful waterfalls, rivers, and lakes and 2,600 different floral species. The Alps make a good place for skiing in winter and biking or hiking in summer. The nearby Valle Stura is a pretty and scenic valley where rare flowers grow. The town of Vernante is a pleasant town covered with murals from the Pinocchio story. Piazza Galimberti is the town's central square ringed with arcades. There's a large outdoor market held in the square on Tuesday mornings. Casa Museo Galimberti, a museum of history and archaeology is on the square. The Church of San Francesco, a deconsecrated Romanesque-Gothic church, and convent, has a good portal from the 15th-century. The civic museum is housed inside and has archaeological, artistic and ethnographic sections. The Cuneo train station also has a museum with an interesting selection of railway relics. Churches: The Cathedral of Santa Croce is an 18th-century Baroque church with a concave facade. Santa Maria della Pieve is an ancient church that was renovated in 1775 and has interesting frescoes inside. Chiesa di Sant'Ambrogio was founded in 1230. The Chapel of Santa Maria del Bosco, rebuilt in the 19th century with a neoclassical facade and dome, is filled with frescoes by Giuseppe Toselli. The main street into town is lined with shops and is a good place for people watching especially during the Sunday passeggiata. Cuneo has four large parks good for walking or biking. Along the outskirts of town and in the parks, there are great views of the mountains and countryside.